The People-Friendly Cities Initiative aims to transform people’s frustrations into practical solutions. Government responds to social pressure, to the people that make their voices heard. Our team needs your help to continue to empower people to: protect the rights of minorities, make housing more affordable, have safer streets for everyone, and make more efficient transit opportunities available for more people. Your donations helped us participate at the premier hub for conversation about the future of cities. We will be joining a video contest on a 2030 vision of the city we live in (in this case, Hoboken) with a chance to present at Next City’s World Stage. Continuous activities promoting the rights of pedestrians and bicyclists. 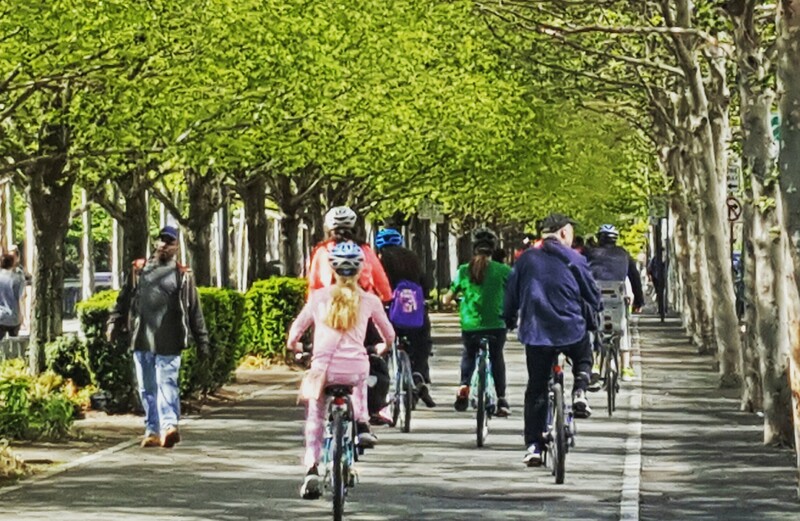 First Hoboken Bike Tour, implemented by the Girl Scouts with support from City Hall. Empowered 3,000 people with a petition to save 24-hour PATH Train service. 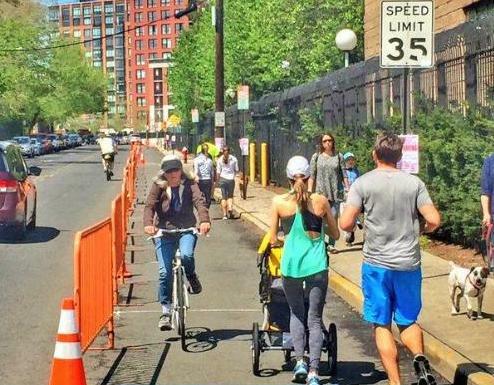 Community-driven campaign to protect Hoboken bicyclists on Washington St. Promoting diversity as key in developing stronger cities. 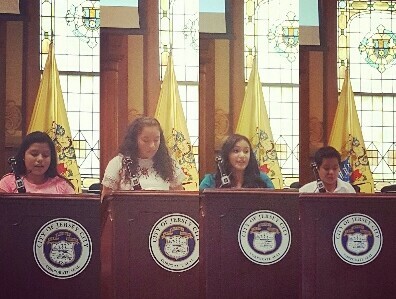 We worked with Jersey City youth to celebrate our heritage and that New Jersey is our home. Community-government collaboration to protect people at the Hoboken waterfront.